Pyromaniacs and World of Goo fans! I hope you didn’t forget about Tomorrow Corporation’s upcoming indie game Little Inferno, because it seems Nintendo did, neglecting to mention it as a launch title. The guys behind World of Goo and Henry Hatsworth teamed up earlier in the year and claimed they were aiming to be a launch game, so kudos to them for getting it done. World of Goo was an indie darling when released back in 2008 scoring awards from all around the gaming circuit and even winding up being the highest reviewed Wii game that year, beating out Super Smash Bros. Brawl. Unfortunately, piracy of the PC version took a toll on the game, and it didn’t quite achieve the monetary rewards it deserved. Still, it was a big enough of a hit to keep the developers rolling into their next game, a much more bleak and ugly game takes place entirely in front of a fireplace and revolves around burning anything you please. 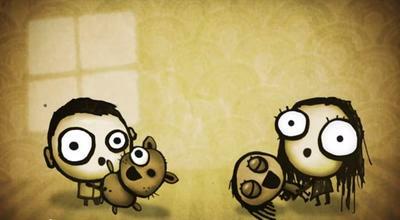 The art style and humor is all reminiscent of World of Goo, but they have yet to reveal anything on gameplay. Even the genre remains unknown. Check out more at their official website. The PC version will also be released the same day, November 18th.